The initially condition that may possibly occur is amniotocoele. Here, there is distension of the tear producing gland i.e. the lacrimal gland. Amniotic fluid enters the lacrimal sac and gets trapped within it. 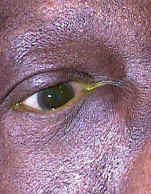 This can lead to in swelling of the lacrimal sac. 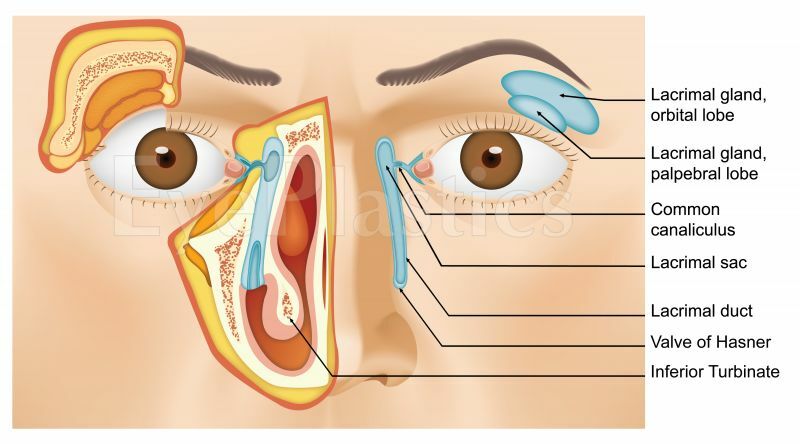 Treating this can be done through inserting a small probe through the nasolacrimal duct.